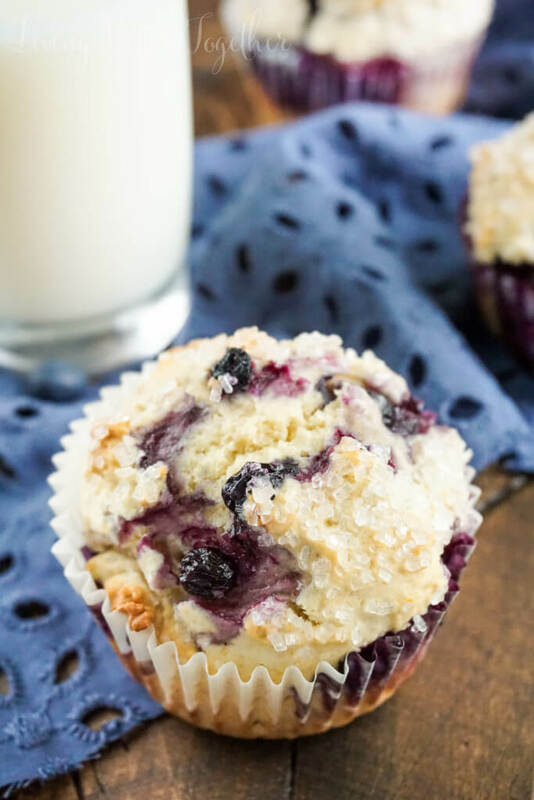 These simple and old-fashioned Blueberry Buttermilk Donut Muffins are lightly sweet and bursting with fresh blueberries and a touch of nutmeg! Sorry I’ve been a little MIA this week! I know you guys haven’t seen me since I posted that really personal post on Monday. Can I just say how absolutely overwhelmed (in a good way) with all of your support and comments, you guys really are amazing! But enough with the mushy gushy! Normally I don’t go in the kitchen during the week, but it’s been such a crazy week, I needed to relieve a little stress and the best way I know how is with my KitchenAid and an oven! I’m sure we’ve all had a blueberry muffin at least once in our lives, and everyone makes them a little differently. This recipe is very simple, lightly sweet with little bursts of blueberry and the buttermilk base gives it a donut taste and texture. And I don’t know about you, but it’s not a blueberry muffin if the top isn’t loaded up with coarse sugar! But the best part of all is you can be slathering these babies up with butter in less than 30 minutes! The first time I made these, they were missing something, they were good, but not quite complete. I took them into the office and my coworkers didn’t complain. Then I realized I’d forgotten my spice. Muffins need to have a little spice don’t you think? Blueberries have such a beautiful flavor and I wanted something that would accent rather than overpower it. Just a tiny bit of nutmeg did the trick and gave these muffins that cozy tone they were missing. 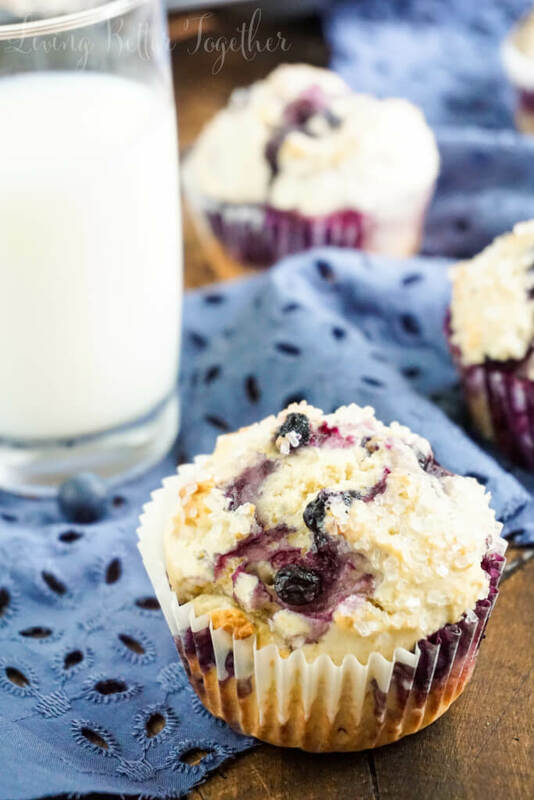 These simple and old fashioned Blueberry Buttermilk Donut Muffins are lightly sweet and bursting with fresh blueberries and a touch of nutmeg! Line muffins pan with liners or spray with cooking spray and set aside. In a large bowl or stand mixer fitted with a paddle attachment, cream together butter, oil, and sugars. Add in eggs one at a time, beating between each addition. Stir together flour, baking soda, baking powder, nutmeg and salt in a medium bowl and add to the wet ingredients alternating with the buttermilk. Mix until fully combined. Gently fold in blueberries with a rubber spatula. Add a 1/4 cup of batter to each of the muffin cups and sprinkle with coarse sugar. Bake for 15 - 18 minutes. Remove the muffins from the pan and place on a cooling rack. YUM!! These look amazing!! I need to make them asap! These look so delicious! I will gave to make these soon! OMG those look amazing! Donuts and muffins and blueberries? YUM! i bet they are delicious! These look fantastic! 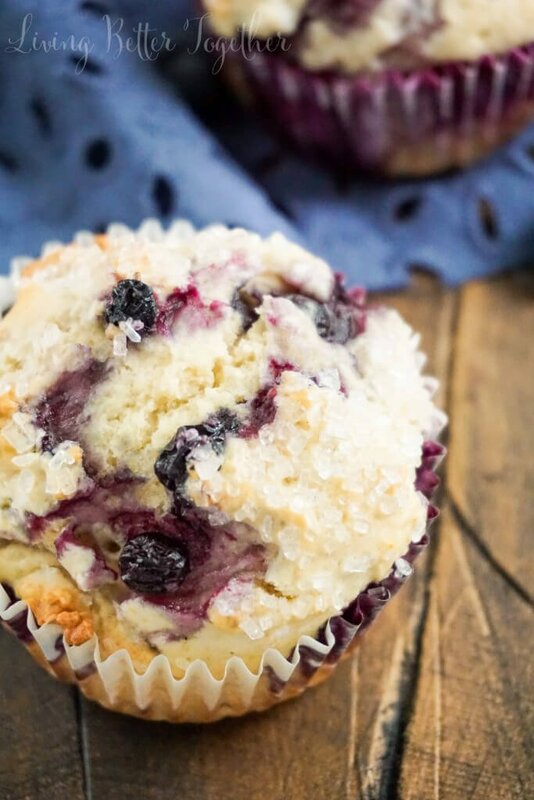 These blueberry muffins look so delightful! 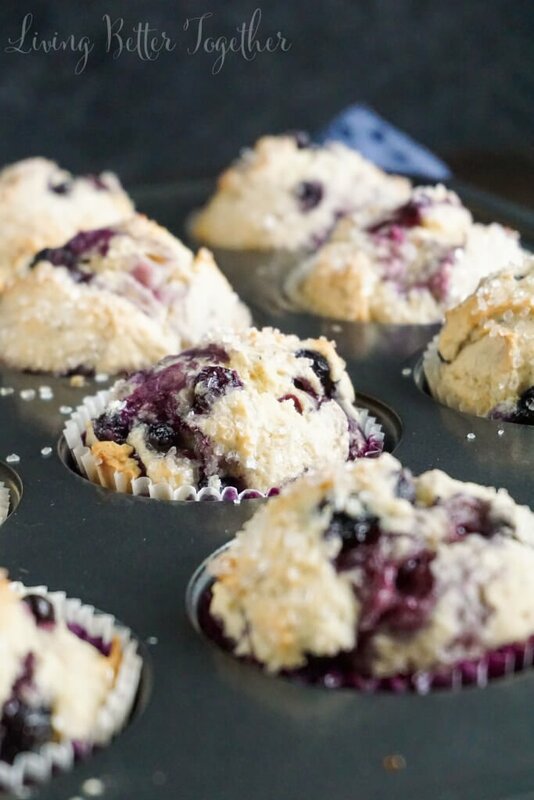 I have some leftover blueberries in the fridge, and I’m tempted to make these tomorrow morning! Oh these look absolutely delicious! I have been throwing blueberries into everything lately, they are so amazing right now! So good! I need to make some of these! Oh I want these right now! Pinning so I can make these with my daughter. ooh, I love the idea of the buttermilk in this recipe. And I always love blueberry muffins, especially right now with all the fresh berries available! Thank you so much for linking up at Snickerdoodle Sunday- hope to see your latest makes & bakes again this weekend! beautiful! both the photos and the recipe. This is totally my kind of breakfast! Thanks for linking up with What’s Cookin’ Wednesday! I am 100% pinning this!! They look so yummy, I wish I could reach through the screen and devour them. Thanks so much for sharing!! THESE MUFFINS TASTE LIKE PAPER. No flavor at all. The muffins *look* delicious, but as the first person to actually make them instead of commenting on how beautiful they are, THEY DO NOT TASTE HOW THEY LOOK. What a disappointment. And what a waste of blueberries. Hi Kristin, I’m sorry you didn’t enjoy this recipe as much as we did. I was so excited to try this recipe but I was disappointed when I tasted the muffins. They didn’t have much flavor and weren’t very sweet. But they do look as pretty as the picture! 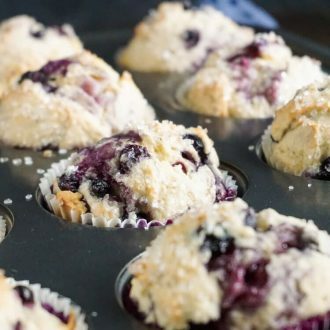 Hi Nikki, these muffins aren’t meant to be overly sweet, they’re lightly sweet donut muffins, the blueberries should be where are lot of flavor comes in and as recommended they’re best served warm with butter. I’m sorry you didn’t enjoy them as much as we did! I made these today with sasaktoon berry and cinnamon instead of nutmeg. Should have used a touch almond extract… next time. They were a hit with the family! Thank you!